Marc Schlosser is a middle-aged general practitioner in a Dutch-speaking country [presumably the Netherlands as that is where the author lives] in the 21st century who, for a medical doctor, shows a surprisingly sordid and prurient interest in the human body. Koch has created an unlikable character who nonetheless represents a member of the professional bourgeoisie, shorn of naïveté, confident of his own intelligence and decisions. However, as the narrative of Summer House with Swimming Pool begins to unfold, it is clear that Dr. Schlosser’s hubris may not be enough to shield him from the inquires of a medical board which is looking into the circumstances surrounding the death of one of Marc’s patients. To complicate the professional crises, it is clear that there was a personal relationship between the doctor and patient as well, and that the death of the actor is somehow tied to events that occurred at a vacation rental the previous summer. The whole of Summer House with a Swimming Pool is an exposition of biological imperative that also serves as the driving force behind this taut psychological thriller told from Dr. Schlosser’s point-of-view. Some readers may be tempted to cheat and peek at the end pages, while others will rabidly devour pages in anticipation of what happens next; but care should be taken to not blow past a seemingly innocuous or irrelevant phase or sentence that proves to be otherwise. Though without Ian McEwan’s sense of humor, those who liked Solar and/or Saturday will also probably enjoy Summer House with Swimming Pool as well. 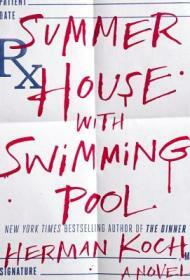 OTHER: I received an Advanced Reader’s Edition of Summer House with Swimming Pool: A Novel (by Herman Koch) through the LibraryThing Early Reviewer program on August 3, 2014. I receive no monies, goods or services in exchange for reviewing the product and/or mentioning any of the persons or companies that are or may be implied in this post. 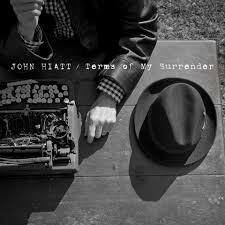 OTHER: I purchased the LP, Terms of My Surrender (John Hiatt) from Music Coop in Ahsland, OR. I receive no monies, goods or services in exchange for reviewing the product and/or mentioning any of the persons or companies that are or may be implied in this post. Charlie “Bird” Parker is an ex-cop who left the NYPD in the wake of the double homicide of his wife and daughter. The crime created a cloud of doubt, guilt and suspicion over Parker, who is haunted by ghostly images and memories. Now doing scut detective work for bail bondsman and the like, a former colleague asks him to discreetly look into a probable missing person case which has mob implications, and which takes Parker from New York to Virginia and eventually to pre-Katrina New Orleans. Every Dead Thing is a character study of a grief stricken man who struggles to get his life back on track even as he is unsure of the ground upon which he stands. The action of the novel is carried by two cases which are related by the type of criminals ultimately pursued, serial killers. Some of the victims are children and on the whole the carnage is graphic and gruesome. Acknowledging that the antagonists are the foils against which the protagonists are defined and developed, and that Connolly makes feints at speculating at the natures of the killers, the homicides still have the effect of polarizing the readers into viewing the killers as irredeemably evil and thus rendering the antagonists as as one-dimensional. Richly descriptive detail and with a touch of mysticism, Every Dead Thing is a Southern Gothic tale that evokes some visceral responses and is not for the faint of heart. If you liked the movie, Seven Deadly Sins (starring Brad Pitt, Morgan Freeman, Kevin Spacey, and Gweneth Paltrow) and/or R.J. Ellory’s, A Quiet Belief in Angels, it is likely you will like Every Dead Thing as well. DISCUSSION QUESTIONS: Does a well developed antagonist (e.g. back story, motive understood…) make the antagonist more sympathetic to a reader? Does having a well developed antagonist steal focus from the protagonist, or make for a more balanced (more interesting?) narrative? 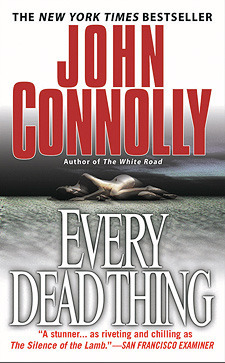 OTHER: I purchased a mass market paperback edition of Every Dead Thing (Charlie Parker series, Book #1 by John Connolly) from AMZN on February 9, 2013. It’s been a little too hot to fire up the amps, but fortuitously, much of the new vinyl that’s been coming my way also has dnload codes for mp3 tracks. 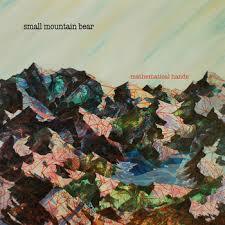 Today, I got Mathematical Hands (by Small Mountain Bear) which actually included a CD edition as well as the LP instead – which works too! 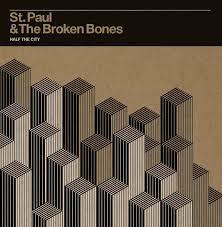 This album was cut from the proceeds of a Kickstarter campaign and released in 2012. The band has since disbanded; but the lead vocalist, Will Read, recently sent out 50 copies to vinyl enthusiasts on reddit. The album is very mellow folk music with guitars, a dobro, and a banjo that give it a little country flavoring. In all honesty, even after having listened to it a couple of times, this album is a little too “soft” for me: None of the tracks really pop. The instruments are on par with the backup vocals, and the lyrics aren’t driven enough to capture my attention so it all becomes background music as I fuss on the internet or make lunch. While I don’t think this album is for me however, you may love it if you are into the less distracting kind of music that provides a pleasant hum to your day.